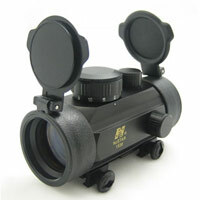 We just recently picked up a range of scopes and electronic sights from NcStar. This is a company that has been in sport optics for 20+ years and when I found them I decided to take a look at their product line. One thing that definitely caught my attention was that NcStar provides a limited lifetime warranty on almost all their products against defects. I was very impressed with the quality and function of everything I’ve seen. They are perfect for paintball and airsoft without breaking your bank account. 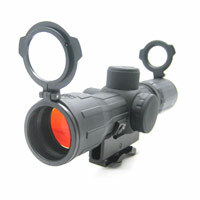 Already a hot seller for us has been the 30mm and 45mm Red Dot sights. These fit on any picatinny tactical rail and are easy to take on and off. They have 10 settings for the brightness of the dot and full windage and elevation. The tubing is all aluminum for durability and they are lighter than they look. The 25mm Red/ Green Dot Sight is a winner (I bought one myself for my 98 AK Project). 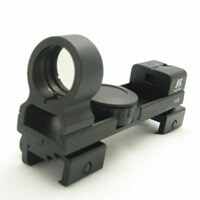 You can choose between red or green for the dot and the outer frame of the sight is all aluminum. Its small, compact and not a lot of money! 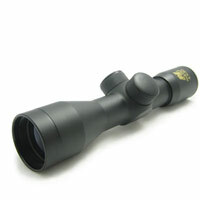 For those looking into a scope, NcStar has your needs covered too. A lot of scenario players like to use scopes not so much for lining up the shot but to scan the field for opponents. Its nice to be able to count how many of the other team are holed up in that fort a hundred yards away before you try to take it, and hey… look at that, now you can see a 6 inch hole at knee level where you can pick them off! 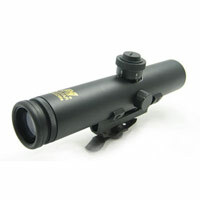 We picked up a 4X scope with a 30mm objective lens for clarity and a good field of view. 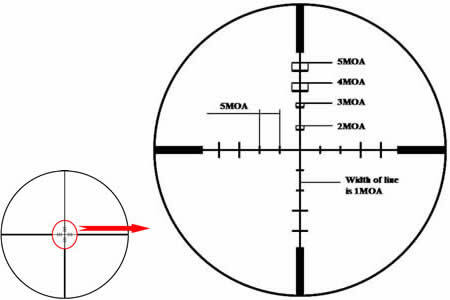 The crosshairs are in the P4 Sniper pattern. 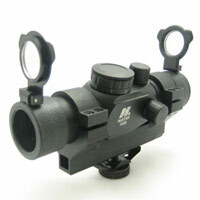 Just pick up some 1″ scope rings (they are on the way to us) and its ready to mount on just about any paintball marker. or a 4X Rubber Armored with M16 Mount scope with illuminated crosshairs so you can make out the crosshairs when zeroing in on a camoflauged opponent! This one is by far my favorite in this category. The rubber armor protects from dings and nicks while the see-through endcaps make it easier to keep your lenses clean. Not only will this let you sight easier but it provides more rails for any other goodies you want to slap on there. Besides…rails, rails and more rails just plain looks cool anyways! There’s also an assortment of laser sights and tactical flashlights as well. Keep checking in with us… we plan on carrying more optics from NcStar as they keep pumping out more great quality and priced products!